Downton Abbey: is a British television period drama series, produced by British media company Carnival Films for the ITV network. The series is set on the fictional estate of Downton Abbey in North Yorkshire, and features an ensemble cast. It was created and principally written by actor and writer Julian Fellowes, and premiered on ITV on 26 September 2010. Downton Abbey ears great frame all over the world and it is one of the most popular TV series all around the world. The TV series is famous for its extraordinary buildings and beautiful outfis. Based on a upper level and rich life, audience are interested in how the upper level people live and what difficulties they would meet. Moreover, staff in Crawley house have their interesting life at the same time. Upstairs and downstairs are totally two different lives. They are staff and they serve the family but they still have their minds. That is one of the interesting aspects of the whole TV series. DVD Release Information: Internationally, the U.S. DVD release date was 11 January 2011, in New Zealand it was released on 22 June 2011 and in Australia on 4 August 2011. The release in Australia and New Zealand has an exclusive bonus disc in the DVD version. It contains extras such as cast interviews, geography of Downton: upstairs and downstairs, a day in service and others. 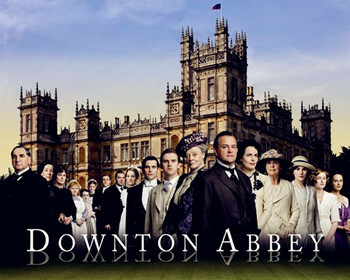 On 16 September 2011, two days before the UK premiere of the second series, it was reported by Amazon.com that the first series of Downton Abbey had become the highest selling DVD Boxset on the online retailer's website of all time, surpassing popular American programmes such as The Sopranos, Friends and The Wire. What you need to copy Downton Abbey? 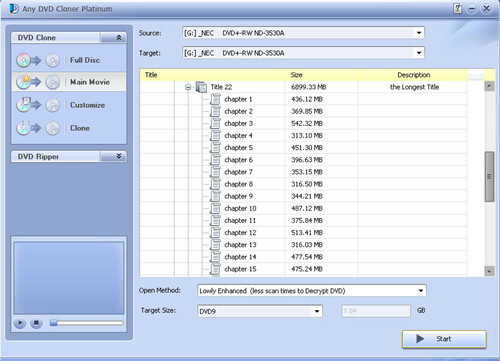 A Downton Abbey DVD, a computer with a DVD burner, a blank DVD disc, and a DVD Cloner software that you use to copy Downton Abbey DVD - Any DVD Cloner Platinum. It takes 3 steps to clone Downton Abbey to blank DVD disc with Any DVD Cloner Platinum. Step 1: Insert Downton Abbey DVD into DVD burner and launch Any DVD Cloner Platinum, Any DVD Cloner Platinum can recognize the your DVD burner path automatcailly, then click "Open DVD" to load the DVD information in the program. There are 4 modes are listed in DVD Clone: Full Movie, Main Movie, Customized and 1:1 Clone. You can select the one you need and also do not forget to select Target option correctly. Source DVD drive: if you want to clone Downton Abbey to a blank DVD disc with only one DVD burner, select the same as the "Input Device". 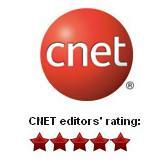 How to Copy Downton Abbey on Hard Drive with DVDSmith Movie Backup ? Do not want to clone Downton Abbey to blank DVD disc but hope to copy Downton Abbey on hard drive only? How about copying Downton Abbey to DVD folder or ISO Image File for free? DVDSmith Movie Backup Freeware should be best solution for you. Copying Downton Abbey on hard drive as DVD folder or ISO Image File, then watch it anywhere with a media player at any time, and there won't be any quliaty loss! Have a try now for the extreme simple copy process with DVDSmith Movie Backup! This will backup all contents from the DVD, including main movie, bonus features, and maybe some other extra video clips. This will only backup the main movie from the DVD, excluding bonus features or other extra video clips. All DVD drivers will be listed in the drop down list. Select the drive where Downton Abbey DVD is inserted. If the Free Space of Hard Disk is smaller than the DVD Size, you should press this button to change output folder with enough free space in the disk. After all DVD copying settings are done, press "Start Backup" button to start the Downton Abbey DVD copying process. If you decide to backup later or just want to cancel it, press "Stop Backup" button to stop the DVD copying process. Clone Downton Abbey DVD to blank DVD disk with Any DVD Cloner Platinum or copy Downton Abbey DVD on hard drive with DVD Movie Backup Freeware, easy to backup Downton Abbey DVD in flexible ways.